The Woolwich Grand Theatre will be demolished and replaced with a six storey block of flats with room for a café at the front if current proposals are implemented. There will be 46 one- and two-bedroom flats of which 20% will be “affordable” according to the consultants from bptw partnership and whiteroom architecture at the consultation event last week. Their original plan was for a seven storey building, but this was reduced to six following discussion with council planners. 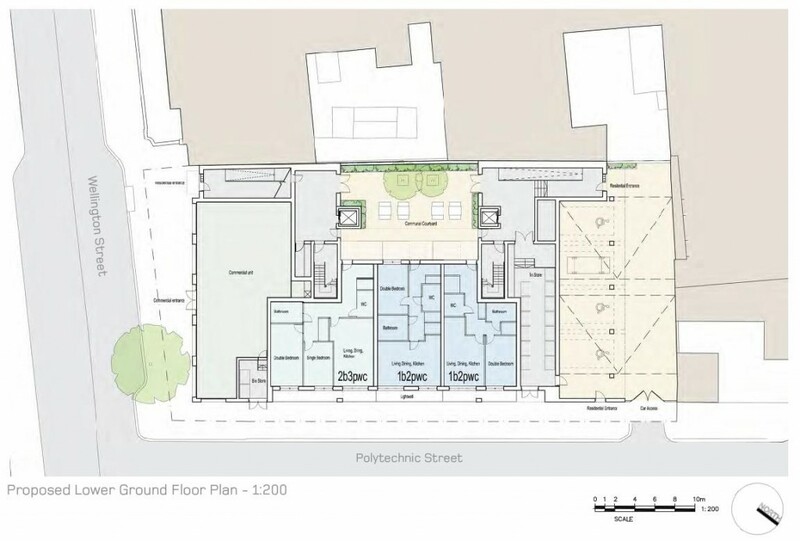 The design of the proposed red-brick building aims to harmonise with the adjacent Town Hall, with strong verticals and horizontal lines which continue the Town Hall’s. The flat’s are arranged around a central courtyard which also mirrors a space in the Town Hall. The consultants said that the “commercial space” at the front of the building could be used as a café, and that it could be let to the Grand’s impresario Adrian at favourable rates to continue as a cultural space. They also said that it is larger than the current Red Room café at the Grand, and that it could be arranged to show films to people sitting at café-style tables. This seemed to be stretching things to me, and there is no getting round the huge reduction in space available for performance compared to the Woolwich Grand as it is now. The developers had wanted to hold the consultation event at the Town Hall but were refused permission, and their time at Gunnery House was limited. There had not been a huge number of visitors, and I was the only person there with the consultants when I dropped in. They sent out a pdf containing the consultation displays today, and indicated that I could communicate them to people who could not attend. The two images in this post are taken from their pdf. Planning permission will be applied for in a few weeks; we’ll get another chance to say what we think then. A quick note to keep you up to date! Our Tidy Up Session on the 18th August was very successful. As most people will know, the meadow was very dense with the various grasses. This is probably due to the fact that top soil was used when the pond/meadow was reconstructed (wildflowers tend to prefer impoverished soil). However grasses are good for wildlife habitats, but we will need to control them and encourage the wildflowers. During the tidy up we found dozens of “froglets” and many newts, water boatmen, pond skaters and spotted several large dragonflies. We were of course sad that our two “resident ducks” had been attacked by a fox and we are looking at the possibility of providing a “duck house”. However we need to research the negative effects this might have on the water quality of the pond. We intend to plant more wildflower seeds (hopefully at the end of October) and also plug plants in October and March (weather permitting). The wildflowers plugs will include Feverfew, Globe Thistle, Tansy, Red Campion, Yellow Loosestrife, Yellow Rattle, Grim the Collier and Hedge Woundwort. We are very concerned that some visitors to the pond area have been encouraging their dogs to use the pond, but more disturbingly adults have been seen actually lifting children over the fence so that they may swim in the pond. This may seem a good way to cool down, but it should be noted that ponds and rivers may contain Leptospirosis (Weil’s disease). 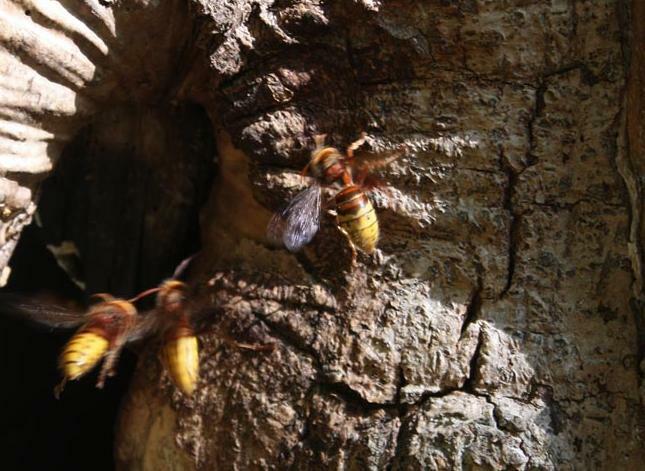 Weil’s is a bacterial infection spread by animal urine. Many think Weil’s is spread only by rat’s urine but it can also come from fox, rabbit, cat and even hedgehog urine. It tends to be found in still, recreational water such as lakes and ponds, where water is not flowing freely. Whilst relatively few cases of Weil’s infection have been reported, Friends of Eaglesfield Park are very mindful of the risk of infection during pond dipping activities. 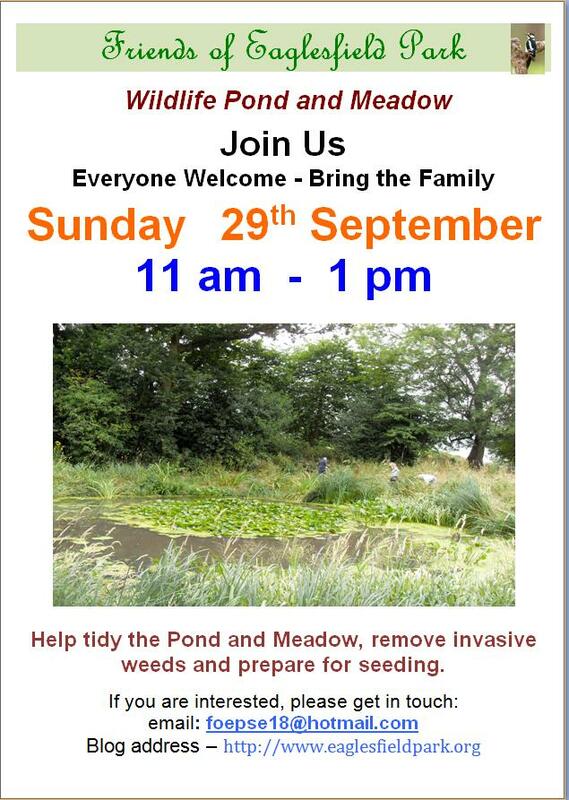 We offer advice on health and safety issues and provide disposable latex gloves and antibacterial hand wash for anyone taking part in pond dipping or pond/meadow maintenance. I would also like to add my own comments – even if there were no risk of bacterial infection, swimming in the pond is not only irresponsible and dangerous, but it will also damage the wildlife environment of the pond and meadow we are endeavouring to create. Please support the Friends on Sunday. I notice the the Green Flag awarded to the park by environmental charity Keep Britain Tidy has now been erected. That’s excellent news, but I’m not sure about where it has been placed – it seems a bit obtrusive to me. What do you think? Castlewood footpath closure – can you help? I moved to the neighbourhood in the early 1980s and almost immediately started using the footpath that runs from Shooters Hill to Academy Place. It was so handy to nip off the bus stop after a night at the theatre as the bus then used to run then all the way from Haymarket to Shooters Hill and beyond. And I was amazed by the meadow off Academy Place and the mature woodland on the path which meandered down to Bagshot Court, Prince Imperial Road and eventually to my house in Red Lion Lane and before that Herbert Road. That little walk, which I often took, especially at weekends, could make you forget you were living in London but somewhere in the country as well as being a very handy shortcut. Earlier this year as I drove up Shooters Hill I noticed the path had been closed but as there were significant building works going on at the nearby property I assumed this had been done temporarily on health and safety grounds. But as the months passed and the path remained closed I contacted the Royal Borough of Greenwich to find out what was happenIng. I was very disappointed to be told that the road had been closed by the Ministry of Defence. But I wanted to find out why so I put in a Freedom of Information request to MOD asking for correspondence relating to rights of way and discussions with the Royal. Borough of Greenwich and a few weeks later a set of papers fell through my letterbox. One email in particular grabbed my attention dated 10 October 2012 from the wonderfully named Senior Street Naming and Numbering Officer (Legal Searches) Business & Resources (Property & Transportation) at the Royal Borough of Greenwich to the Ministry of Defence. There was also references in the papers to complaints from the public about the closure including emails from Plumstead Runners and other people who had written to Clive Efford MP. I have been using the footpath for over thirty years and I understand that if a path is used on Crown land for that length of time it can be deemed to be a right of way. So I have formally written to the Royal Borough of Greenwich to protect our right, as provided for by section 130(2) of the Highways Act 1980, to enable pedestrians to continue to use this footpath and therefore be able to walk or run unhindered from Red Lion Lane to Shooters Hill via Prince Imperial Road, Bagshot Court and Academy Place and vice versa. 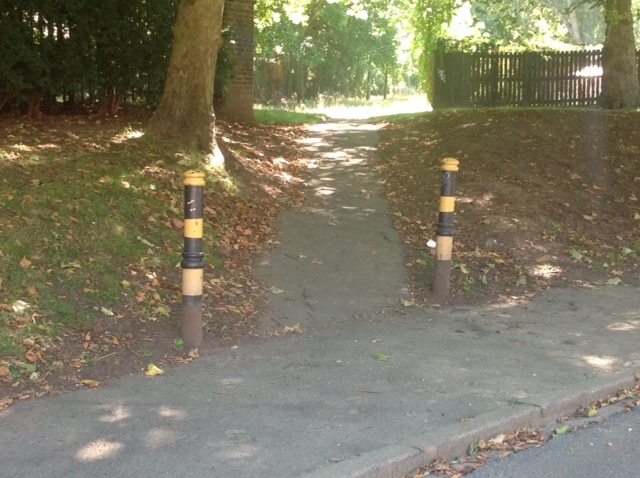 It is very significant that the footpath has a chicane at the Shooters Hill/Academy Place end and two bollards at the Bagshot Court/Prince Imperial Road end as this can only mean that the owners decided in the past that the footpath was to be used only by pedestrians and not by vehicular traffic. A few weeks ago when walking up Academy Place I noticed that there was a hole in the fence that I took the picture below which shows the chicane to prevent vehicles and the panel that has been put up to close the path. I have also asked the Royal Borough of Greenwich to formally dedicate the footpaths from Shooters Hill to Academy Place and onwards to Bagshot Court/Prince Imperial Road as highways on the basis of a presumed dedication as provided for by section 31 of the Highways Act 1980. – the presence of the chicane and the bollards preventing vehicular access demonstrates that the owners were content for pedestrian use along this route. 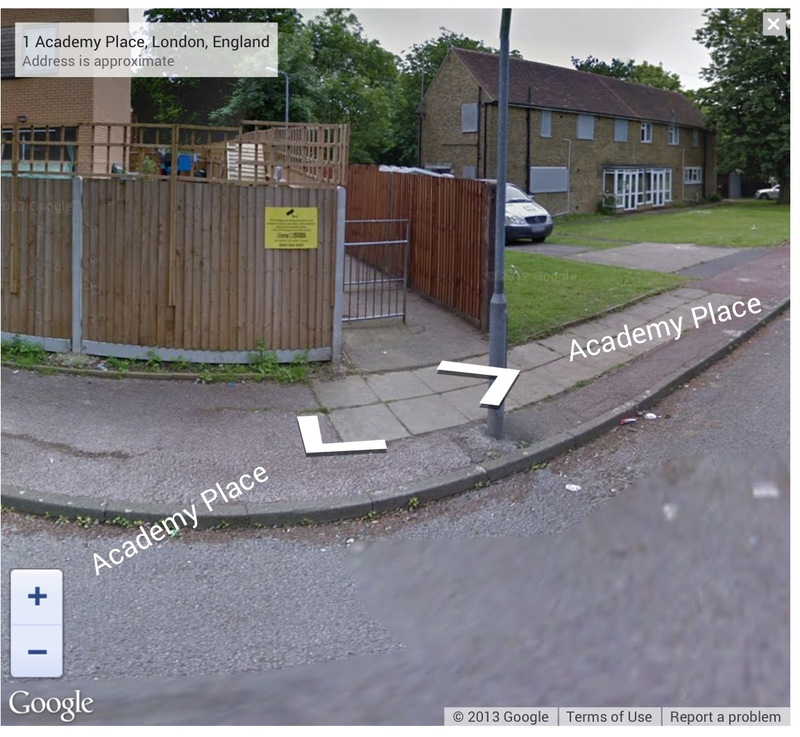 But why did the MOD decide to close the footpath between Academy Place and Shooters Hill in the first place? In a letter to the Council in 21 June 2012 they say it was because of dumping of rubbish and college students “using the area as a recreation centre to meet and socialise causing a possible nuisance”. I raised an eyebrow when I read this as I have never encountered either of these problems and in any event even if they are, they are entirely capable of being addressed in other ways which do not require the closure of the footpath. I hope that I have provided enough information here to enable the Council to take the necessary action to have the route classified as a public right of way which will lead in turn to the re-opening of the footpath. My fear is that the MOD might put pressure on them not do so. 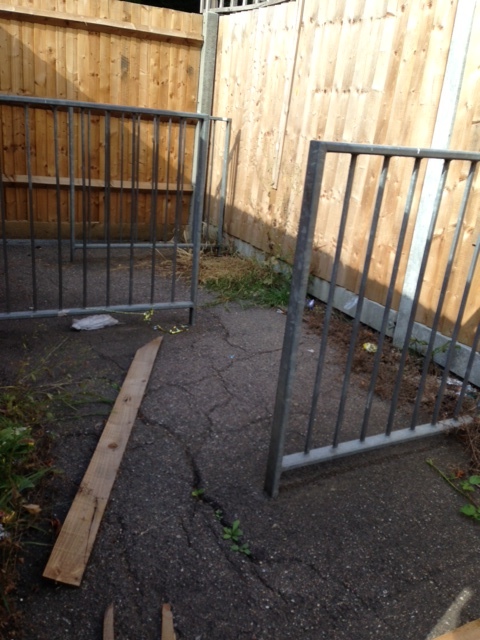 So I am asking for the help of you neighbours who have been using the footpath – ideally for 30 years – to email me on parly @ sky. com to tell me how often you used this footpath in the past and I will present any further evidence to RBG to help persuade them to reopen the path. Thank you for any information you are able to provide. 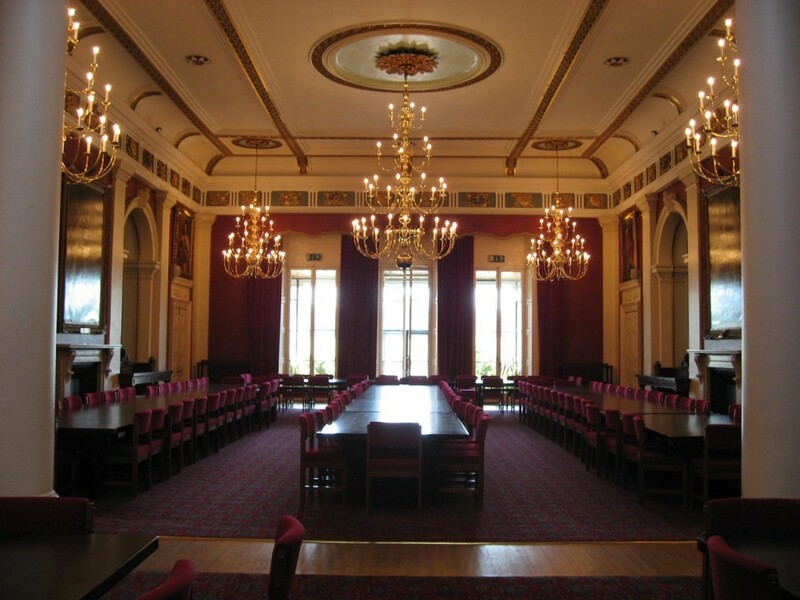 The Woolwich Grand – under threat of redevelopment? The leaflet I saw had no indication who had produced it or who was running the consultation event. I couldn’t find any application for planning permission for the redevelopment of the site, so I guess this must be an early stage consultation before permission is applied for. 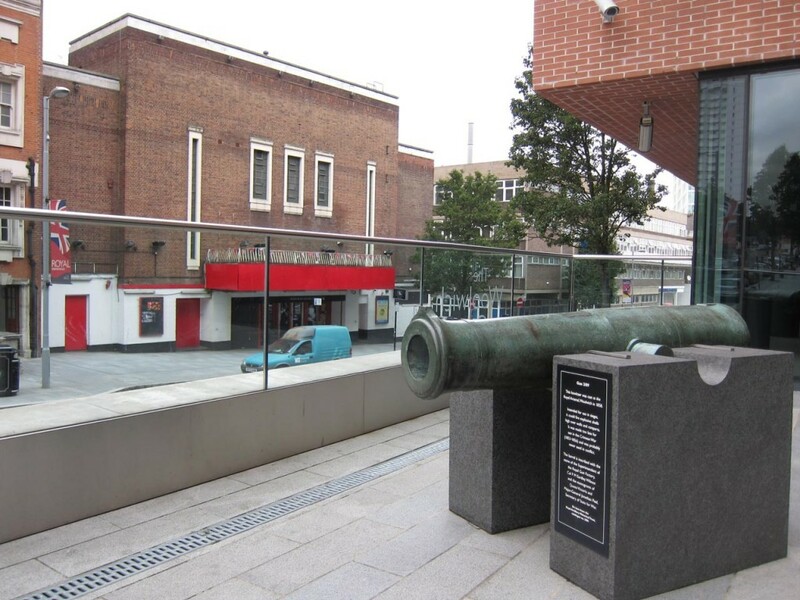 What a set-back for Woolwich town centre this would be – removing one of the few places where cultural activities such as film, music and other events can and do take place. And how discouraging for the people who have worked hard to bring such cultural activities to the town. The protection of the town centre’s important heritage value should continue. This will be enhanced by the refurbishment and bringing back into use of historic buildings within the Bathway Quarter. 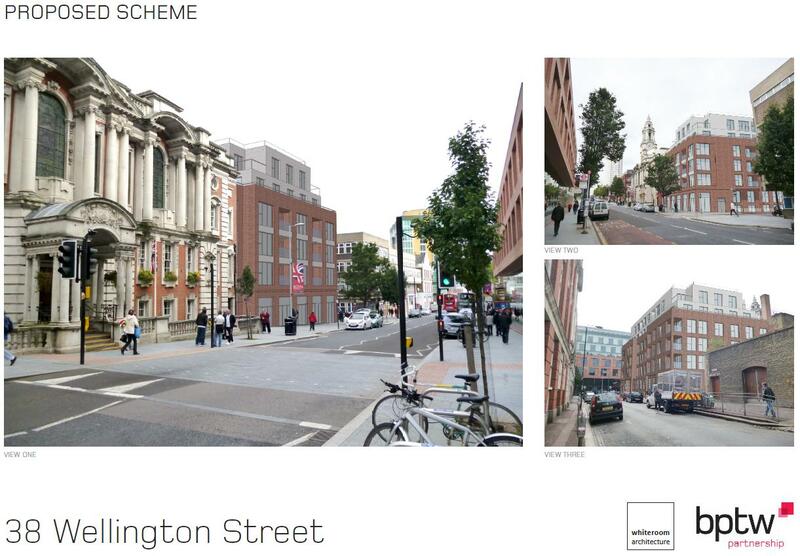 This area should also be given additional heritage protection to conserve its distinct character, as should Powis Street and Hare Street. I wonder what happened to that additional protection, and the proposal to designate the Bathway Quarter and Powis and Hare Street as Conservation Areas? It’s a shame that the consultation event is during office hours, but I hope that won’t stop people going along to support the Woolwich Grand. Open House London, that great opportunity for architecture enthusiasts and the simply curious to have a look inside buildings that are not normally open to the public, is on again the weekend after next – 21st & 22nd September. And it’s all free. If you want to enter the ballot for tickets to visit some of the really desirable buildings – the Shard, the London Eye, 10 Downing Street and Grays Inn – then there are just a couple of days left to enter. 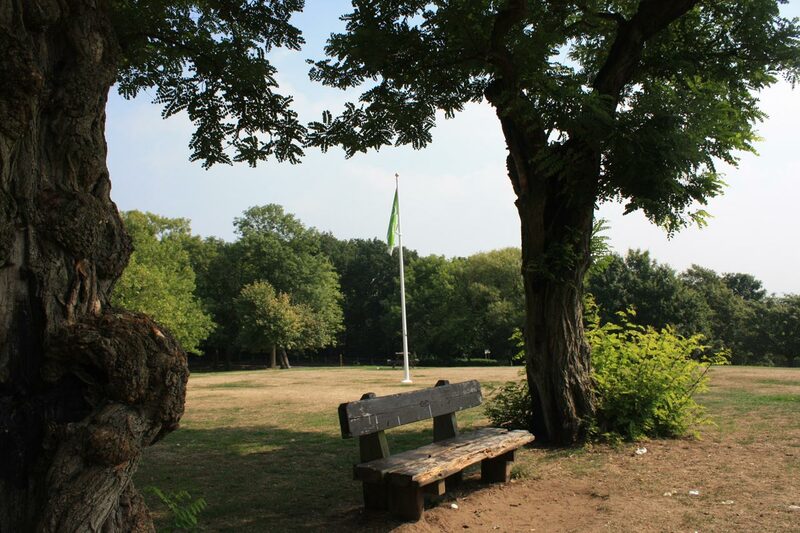 At Severndroog Castle there will be talks about its history and the Trust’s plans for its restoration every hour from 10.00am to 3.00pm on Sunday, and some of the Trustees and the Heritage Manager will be there to answer questions. There will also be an information stall and refreshments, but the castle won’t be open. I picked up a brochure giving details of what buildings are open and when from the library earlier in the week, and there are some 840 entries this year. Details are also available on the Open House web site. 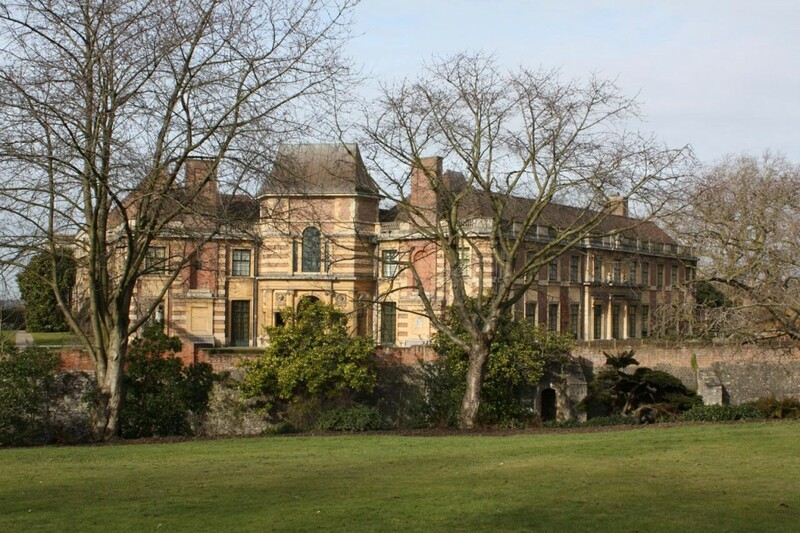 It’s a little disappointing that fewer of our local architectural gems are open: for example the listing doesn’t include the Royal Artillery Barracks, St George’s Garrison Church or Woolwich Town Hall – all of which have been open in previous years. Nor does it include the Crossness Engine House this year. But none of them are in the brochure – wouldn’t it be great if they were open for visitors? Don’t misunderstand me, there’s still a huge number of interesting buildings to see, all round London, and some new ones close to home. 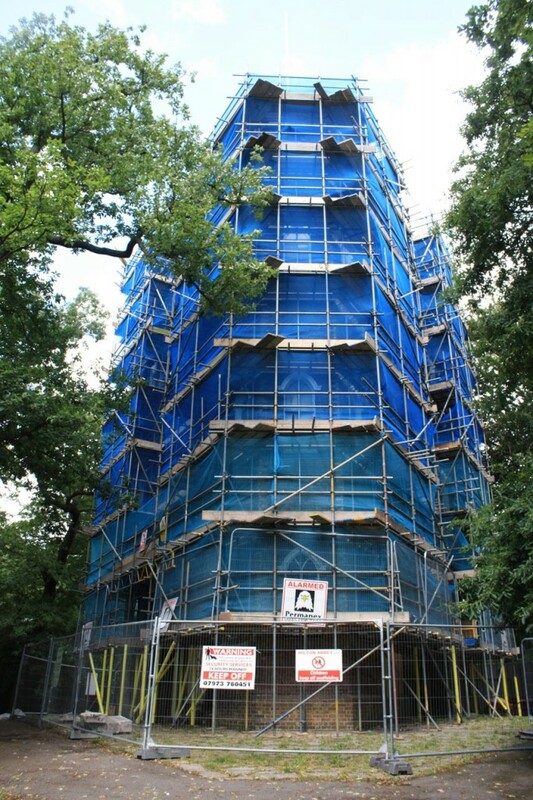 The Woolwich Arsenal Clock Tower restoration sounds fascinating, and there’s also an intriguing sounding tour round Woolwich’s squares with a landscape architect. I’m just greedy to see even more of our local historic buildings. 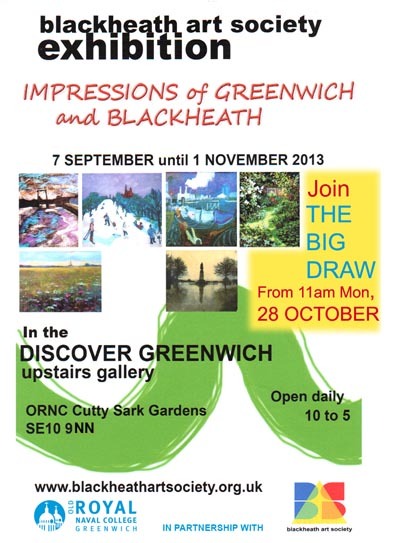 Benjamin e-mailed to let me know about the Blackheath Art Society Autumn Show which is called “Impressions of Greenwich and Blackheath”. It is on at the Discover Greenwich upstairs gallery at the ORNC, Cutty Sark Gardens, SE10 9NN from Saturday 07 September – Friday 01 November. Entry is free and it is open from 10am-5pm. It will include artwork from local artists, many of whom opened their studios to the public in the Open Studio event in April and May this year. Poring and peering. I’ve been poring over old maps a lot recently, and peering over walls and fences and into ditches, trying to understand the relationship between the geology of Shooters Hill and the springs and streams that drain it. My investigation took me down to the Greenwich Heritage Centre, both for their beautiful old geological maps and to read what Colonel Bagnold, David Lloyd Bathe and W.T. Vincent had to say about Shooters Hill springs and geology. The Heritage Centre also has a box of old papers from the 1930s by local geologist Arthur L. Leach which discuss the details of the geology and report his observations. Why did I start on this? I had noticed that some locations on the hill seemed to be always wet, and small streams sprung from them after rain. Streams that couldn’t be explained by the latest Thames Water leak. For example the woods just up the hill from Christ Church School is one streamy spot, and the steep, stony stretch of Mayplace Lane just above Highview flats another. My curiosity was piqued. The story of the springs of Shooters Hill goes back to the late 17th century and the area was famous for its mineral wells. 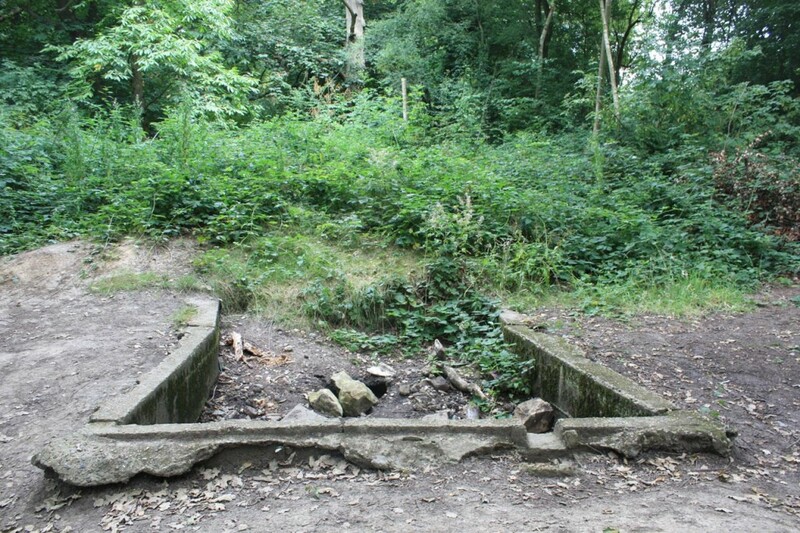 Hasted records in his seminal 1797 work “The History and Topographical Survey of the County of Kent” that there was on Shooters Hill “a mineral spring, which is said constantly to overflow, and never to be frozen, in the severest winters.” In Henry Drake’s 1866 revision this is interpreted as referring to springs in Red Lion Lane, and is expanded to say that the springs were discovered in about 1675 by John Guy and were called the “Purging Wells”. Bagnold reported that these springs were in the garden of 80 Red Lion Lane, and overflowed across the Lane and down to Nightingale Vale. It was visited by people wishing to take the waters up to the end of the nineteenth century. Diarist John Evelyn and Queen Anne were said to have used the Shooters Hill waters, and at one stage there was a grand plan to turn Shooters hill into a spa town. The chemistry of the Shooters Hill waters was analysed by the Royal Military Academy’s James Marsh, showing that its main ingredient was Magnesium Sulphate, also known as Epsom Salts. These medicinal springs seem to have different geological origins to other springs on Shooters Hill. 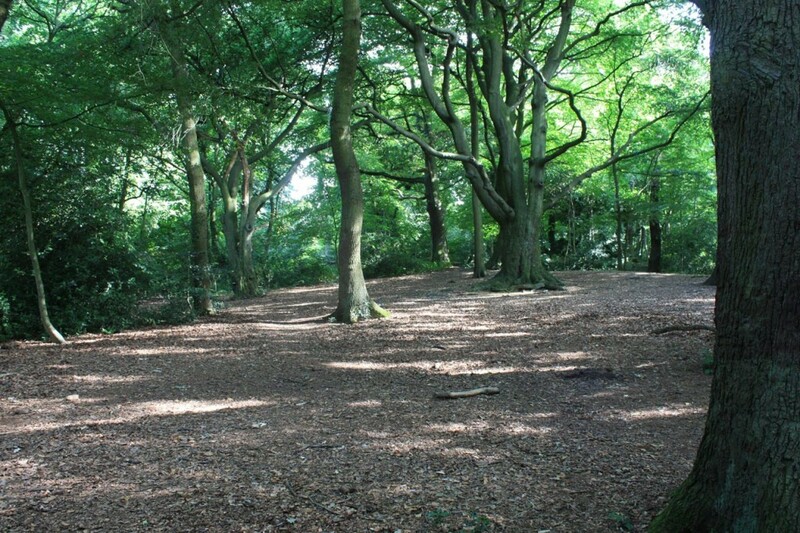 Shooters Hill can be thought of as comprising three geological strata. The bulk of the hill and lowest layer is London Clay. Next is a layer known as the Claygate Beds, which itself is layers of sand and loams with thin bands of clay. On top there is a layer of gravel, known as Shooters Hill Gravel, which Wessex Archaeology describe as “well rounded flint gravel, sandy and clayey in part”. 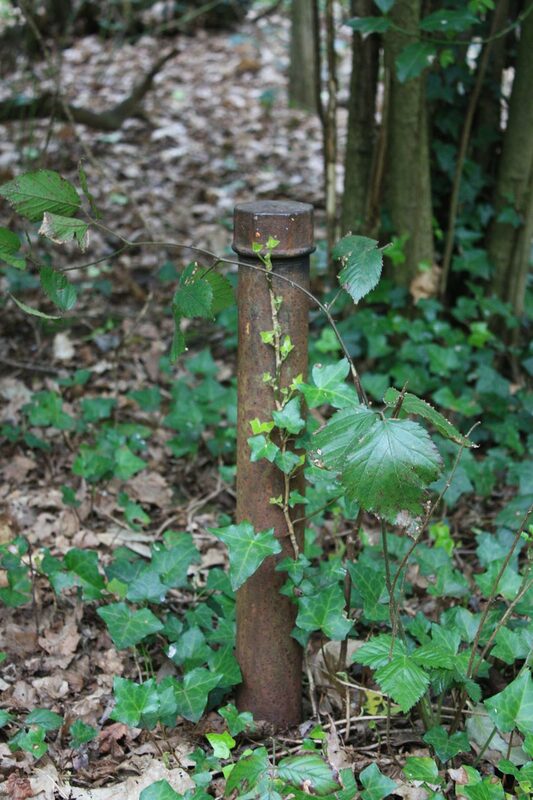 Bagnold describes it as “red, clayey gravel and sands.” It can sometimes be seen when ditches are dug, for example to put down services pipes and cables; there’s a good example at the moment in a fresh ditch by the side of the path leading to Severndroog Castle. The gravel layer is shaped a bit like an irregular doughnut sitting on top of the peak – at the very top of the hill it is very thin or even non-existent and it increases in thickness going down the hill as the Claygate Bed layer drops away more steeply. 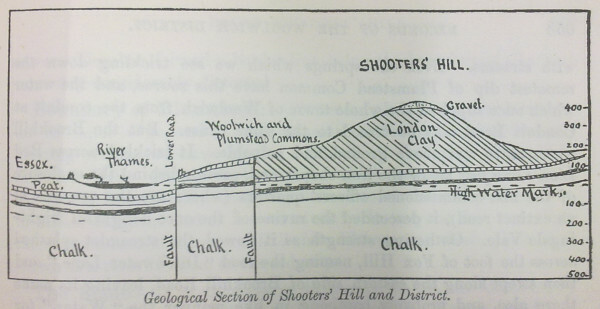 Leach shows the top surface of the London Clay sloping towards the West-South-West so the Claygate Beds and Shooters Hill Gravel are thicker in the direction of Eltham Common. The gravel is thought to cover an irregular area about a mile long by half a mile wide, as can be seen from the British Geological Survey map extract below. The top two layers are porous, and in wet weather retain water, which cannot drain through the impermeable London Clay and so appears as springs at the edge of the upper layers where the clay becomes the surface. The spring above Christchurch school is explained by this mechanism: the BGS map shows that the Claygate Beds layer ends at exactly the point where the spring appears. Bagnold says that up until around the second half of the nineteenth century there was a dipping well at this location, and that it is believed this well was the main source of water for the Shooters Hill hamlet around the Red Lion pub until the Kent Waterworks laid on a water supply. Other streams and water flows, where maps can be found that show them like Nokia Maps, seem to start from around the edge of the gravel/Claygate layers. 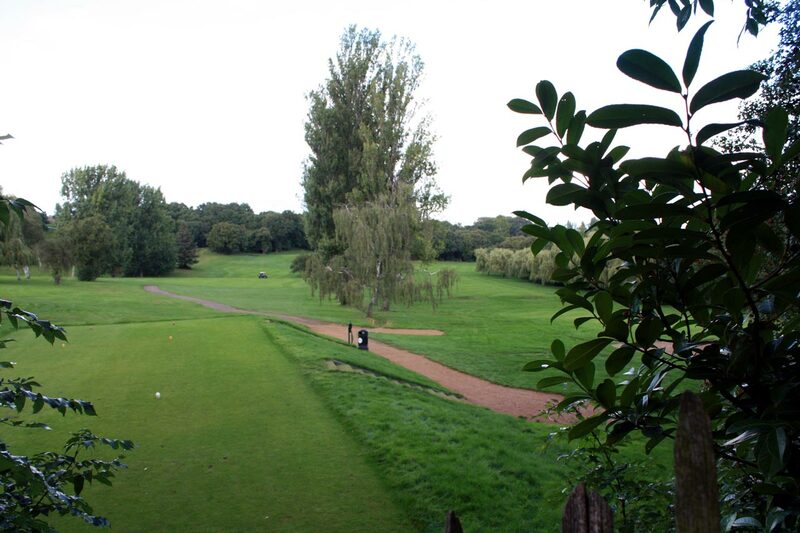 For example the origin of ditches on Shooters Hill Golf Course, like the one in the photo at the top, and others in Oxleas Wood seems to lay on the boundary line. The flow of water in Mayplace Lane is not so easily explained because the map shows that the Claygate Beds layer don’t extend that far and the western boundary of the Shooters Hill Gravel runs parallel to and quite close to Plum Lane. I’m not a trained geologist, but I wonder whether is this is accurate, for two reasons. Firstly the 1866 OS map shows that there was a gravel pit between Eglinton Hill and Mayplace Lane opposite the junction with Brent Road, so there was some gravel that far down the hill, though of course it may have been a pocket of gravel separate from the main layer. 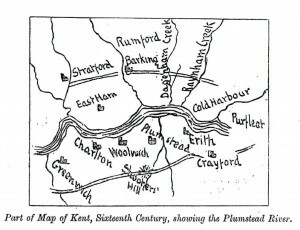 Secondly, Alfred Leach wrote some “Further Notes on the Geology of Shooters Hill, Kent” about his observations of trenches being dug for sewers along Plum Lane from Genesta Road up to Mayplace Lane. Someone else who spent time peering into ditches! He noted that from Dallin Road upwards the trenches passed through sands and pebbles down to London Clay, apart from a few points where the gravel layer went deeper than the 8ft deep trench. That would seem to indicate that the Shooters Hill Gravel extends further north than the BGS map, though Leach thought that undisturbed gravel only extended as far as the midpoint between Furze Lodge and Dallin Road, after that it was gravel that had drifted down the slope. The southern end of Highview flats is on the same 95m contour line as the Plum Lane end of Dallin Road. 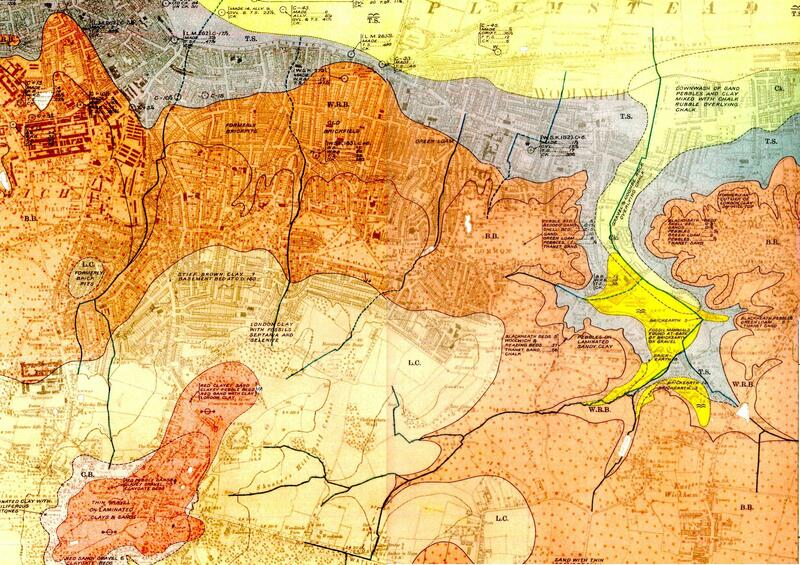 It’s a pity the boreholes, shown on the BGS map, that have been used to gather geological evidence don’t cover the North-west of the hill as well as they cover the proposed route of the road to the East London River Crossing through Oxleas Woods and Plumstead. 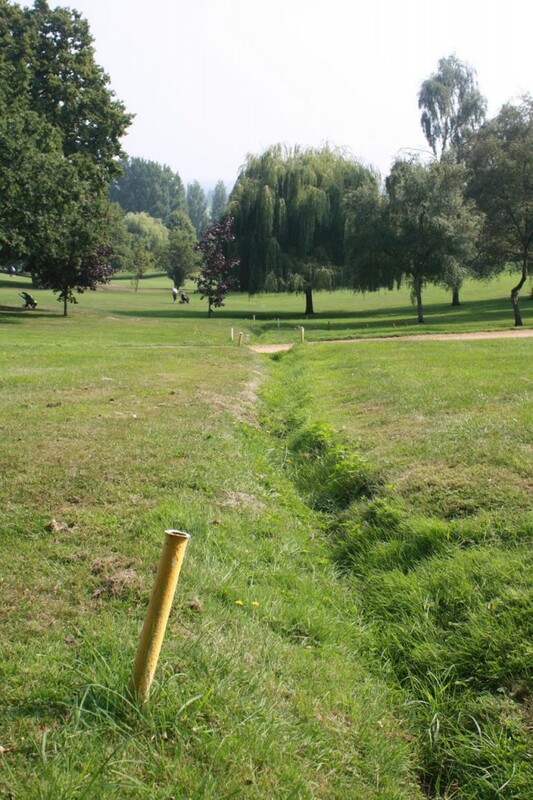 Most of the streams and springs originating on Shooters Hill have now disappeared – diverted underground or into the drainage system. As long ago as 1890 W.T. Vincent in his Records of the Woolwich District was bemoaning the loss of streams, and mentioned a number of them. There was the Nightingale Brook which sprang from “the swampy waste behind the Royal Military Academy”, then trickled across Red Lion Lane before descending the “ravine of the once delightful Nightingale Vale”, along the eastern side of Brookhill Road down to the Woolwich Arsenal where “it filled a moat about a barbacan, and finally fell into the bosom of Father Thames.” This stream marked the boundary between Woolwich and Plumstead. Another across Woolwich Common marked the boundary with Charlton. 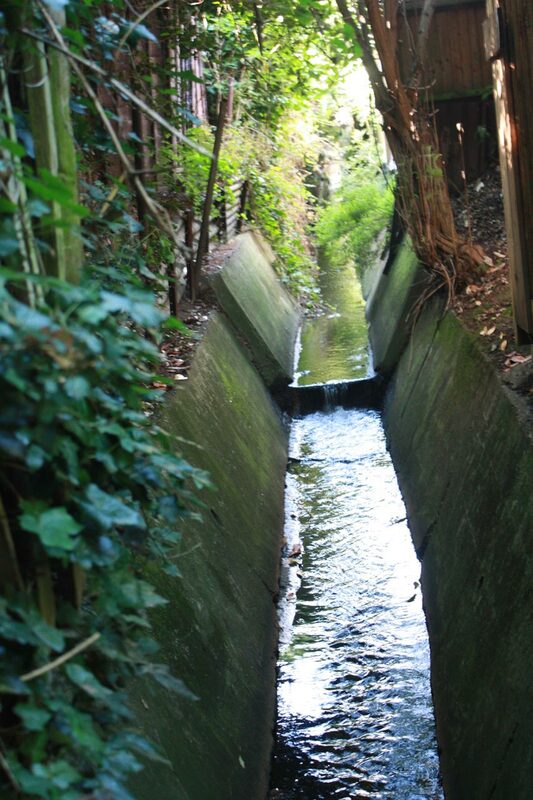 Vincent also believed that Shooters Hill was the source of the River Quaggy, citing springs which rose behind the police station and crossed the Eltham Road under an arched bridge on its way to Kidbrooke. This sounds like the Lower Kid Brook described by the Kidbrooke Kite in his guide to the Kid Brooks. The Kid Brooks were tributaries to the Quaggy. On the eastern side of the hill the Oxleas Woodland Management Plan says that Oxleas Wood and Sheperdleas Woods drain into the River Shuttle, which is a tributary to the River Cray, and Nokia Maps shows some streams heading in that direction via Rochester way and Falconwood Field. However I was intrigued by what Bagnold said about some other eastward heading streams. 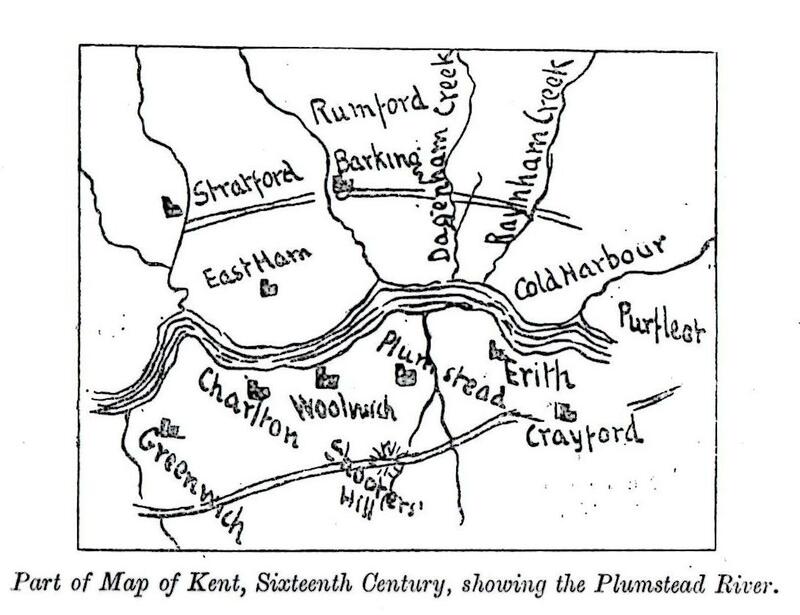 These fed into what Vincent calls “An Obsolete River” and the Plumstead River, and Bagnold asserts was once called the River Wogebourne or Woghbourne. 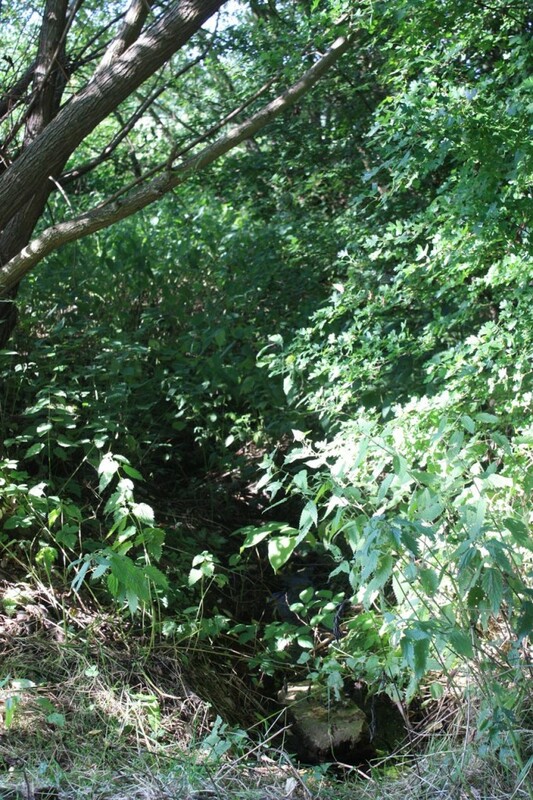 I’ll talk more about my efforts to trace this lost river in my next blog post.